Фото ""Смотрите, это пустыня" (Горы Красного моря)"
What lovely, graceful flows. I like how the people give perspective to the grandeur surrounding them. 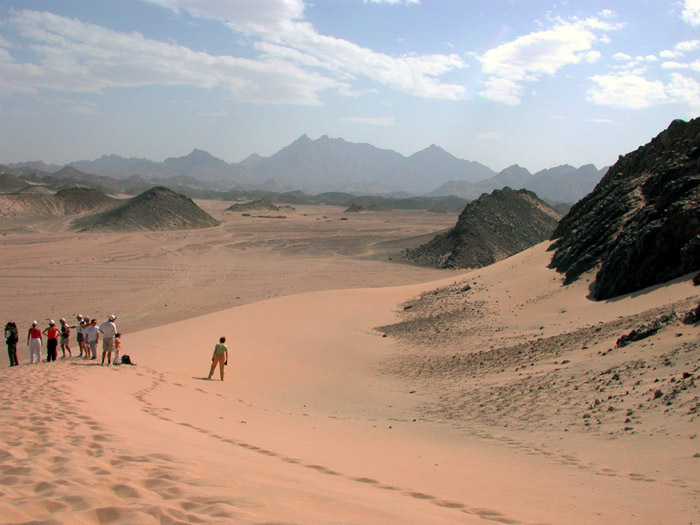 To #5: Unfortunately, this place is not so wild and virgin, this is only 30 km apart Hurghada(Red Sea, Egypt).